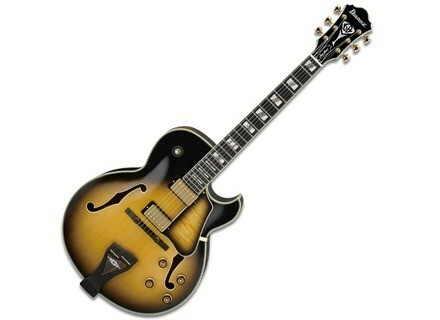 LGB300 Prestige, Hollow Body/Semi Hollow Body Electric Guitar from Ibanez in the George Benson series. The Ibanez LGB300-VYS Semi Acoustic Guitar is a 6-String arched top traditional jazz guitar, present at the NAMM show. 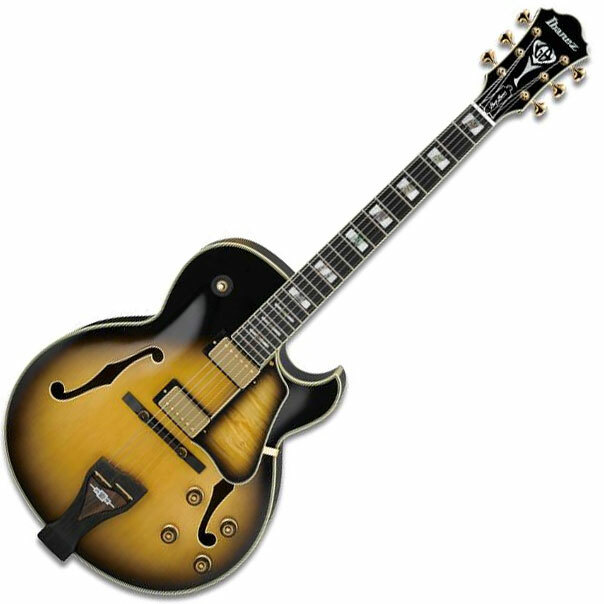 The Ibanez LGB300 George Benson Signature includes a Spruce top and Maple back & sides with a 3 piece LGB Maple set-in neck, topped with a Rosewood Fingerboard. The LGB300-VYS is finished with Ibanez components, including an Ebony bridge with LGB300 tailpiece and Gold Hardware. The Ibanez LGB300-VYS Semi Acoustic Guitar is loaded with Super 58 Pickups. For more details, visit www.ibanez.com. [NAMM] New Ibanez Models: Artcore Series Ibanez introduces 3 new models to its Artcore Series at Winter NAMM 2012.